North America is one of the fastest growing parts of the world in cycling at the moment. 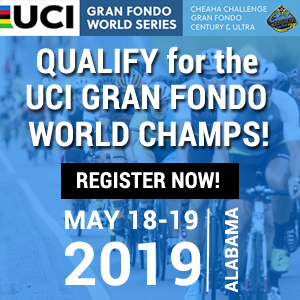 The UCI Gran Fondo World Championships are coming to the continent for the first time in 2020, and the explosion of people getting into riding is fueling the introduction of more and more epic events from coast to coast. At the very epicenter of this movement is California, where active lifestyles and living healthily take a high priority. With Cali’s stunning geography, challenging routes and the rise of cycling, more and more riders are discovering that they don’t have to travel to the French Alps to experience classic thrills on two wheels. You’ve probably heard the words Silicon Valley and immediately thought of tech, but a new revolution is coming. With bucket-list riding to be found in the surrounding Santa Cruz hills and the introduction of RBC GranFondo Silicon Valley in 2018, the secret is well and truly out. The riding in the greater Silicon Valley area rivals any of the best locations in the world, combining lung-busting climbs in the forests, sweeping coastal technical descents, scenery that makes your heart question why you don’t just come here and retire, as well as a strong compliment of community hubs where bike-lovers like yourself come to hang and dissect their latest strava efforts. Prepare to meet 5.7 miles of time-to-dig-in-grit. Climbing out of San Gregorio, all thoughts of the beautiful coast go out the window as you immediate ramp up to 9% gradients. Don’t be fooled by the 5% average – the last mile might be slightly less up but the work before will leave your legs wishing the finish is around every next corner. Add in the mix a strong helping of switchbacks and a false crest for good measure, and you’ve got a challenge that your masseuse will be hearing plenty about afterwards. For Silicon Valley cyclists, Tunitas Creek is one of the yardsticks by which they test themselves by. Definitely mark this as one to add to your bucketlist. Plenty of cyclists have attempted Chris Froome’s famous downhill top-tube tuck, and some of those have even managed to pedal while doing so. 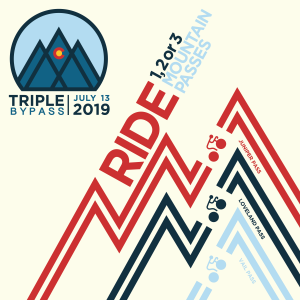 But if you’re looking to find riders copying this trick on the Skyline descent, you’re going to have to wait a while. This devilishly fast descent needs two things: a decent set of eyewear and bravery in the shedloads. Somehow, people average close to 40mph through the twists and the turns in a rollercoaster ride that takes you from the Morena Sierra peak through the famous La Honda Open Space preserve, finally spitting you out at the Williams Ranch with adrenaline pumping and hairs standing on end. It’s downhill riding at its best, and you seriously need to experience it for yourself. Staying in one of the many high quality hotels in downtown Silicon Valley or Palo Alto, you’ll most likely be riding to the nearby coastal hills; thereby affording you the chance to ride the increasingly legendary Kings Mountain road. Again, the average grade doesn’t sound too fearsome, but we recommend you calm your confidence right here and now. After you pass by the SLAC National Accelerator Laboratory - where particles are taken to speeds almost reached on the Skyline descent - and cross the town of Woodside, Kings Mountain awaits. It’s only 4 miles (7km) in distance, but what follows is a set of switchbacks that achieve the following gradients as you corner around them: 9%, 13%, 22%, 24%, 17% - yeah, have fun with that. Once your legs have got used to the continuously changing demands of the hill, the reward is a pretty good one. From the top, some of the best riding in California awaits, with roads taking you to the Portola Valley, Pescadero or even the iconic California Hwy One. Wherever you choose, it’s going to end up being an epic ride. All these segments and more feature on the RBC GranFondo Silicon Valley, taking place June 22, 2019. With its base at the Four Seasons Silicon Valley – a stone’s throw away in East Palo Alto – two distance options take you into these stunning locations and more, before you arrive back to a huge food festival party back at the hotel. Check out the RBC GranFondo Silicon Valley website for more information, where registration is currently open. 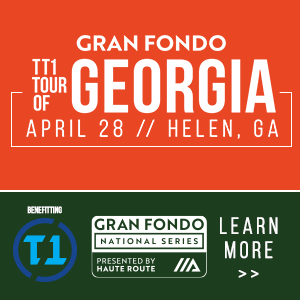 Feb 27 2019 - NEWS: Instantly win Gran Fondo entries: scratch game! Jan 02 2019 - NEWS: What is your goal for 2019? Here is something inspire you! Sep 27 2018 - NEWS: Want a $50 lululemon gift card? RBC GranFondo Giveaway! Aug 16 2018 - NEWS: RBC GranFondo Whistler: iconic course, iconic party!